If you experience “common” digestive complaints such as occasional gas, bloating, or heartburn, your gut needs some work. Do you have even worse digestive issues like persistent constipation or diarrhea? That means your gut really needs attention. And if you're suffering from Irritable Bowel Syndrome or Crohn's disease, it's past time for you to give your guts some love! But what if you don't have digestive complaints at all? 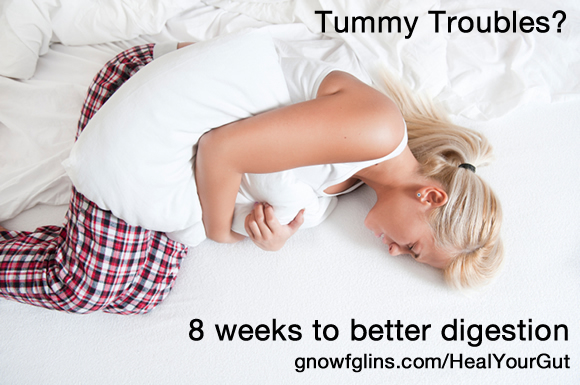 What if you feel like you can eat anything without an upset tummy? Chances are, you probably can't. Even if you don't have digestive ailments, you more than likely have another symptom (or two) of compromised gut health. Common issues like asthma, allergies, eczema, acne, PMS, and arthritis can actually be symptoms of an unhappy gut. Even worse are autoimmune conditions such as hypothyroidism, Hashimoto's, rheumatoid arthritis, and fibromyalgia — telltale signs of a gut that has been compromised to the point of the body actually attacking itself. It is possible to heal your gut — and watch symptoms, big and small, improve or disappear altogether. 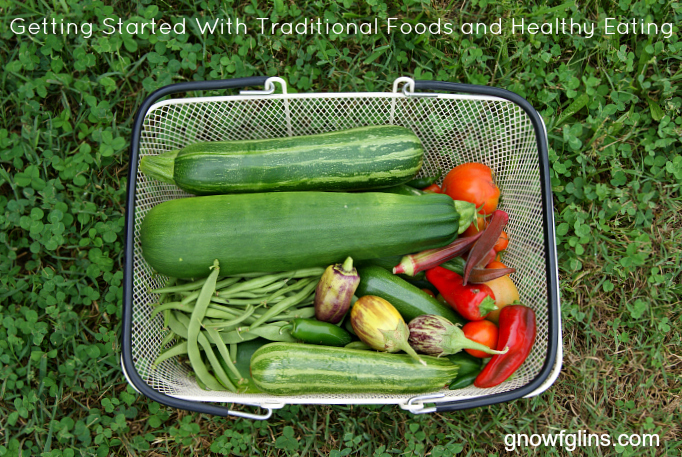 Want to create your own gut-healing, safe-to-eat, and delicious fermented salsas, chutneys, pickles or krauts? Need to know how long to ferment, how much salt to add, and how to store? This cheat sheet will give you formulas for all types of ferments (even fruit preserves, pickled meats, and condiments) – so you can “create your own” ferments with confidence. Click here to get the free CHEAT SHEET today! If you're reading this post right now, it's probably because you have an inkling that it's time to focus a little bit more on your gut health, right? So before you can even begin to heal your gut, you have to understand WHY gut health is so crucial to your overall health and well-being. 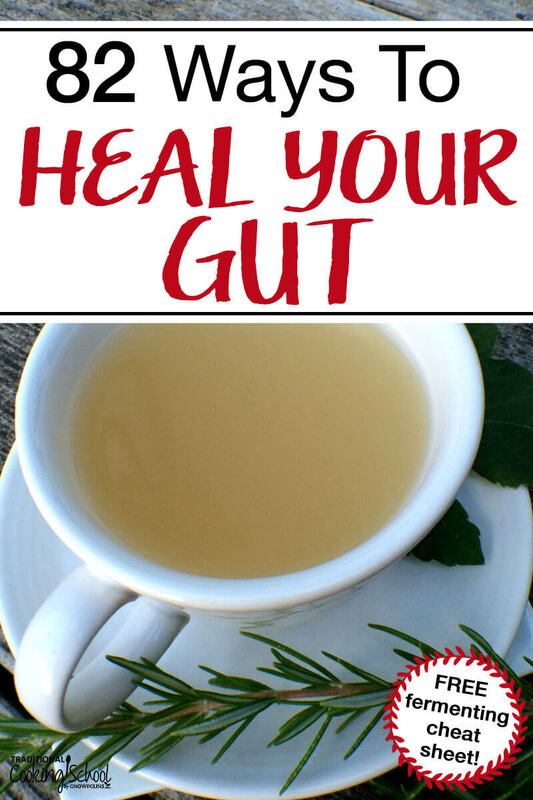 What does it even mean when people say, “You need to heal your gut?” If you're clueless, click here quick! Via kitchenstewardship.com. 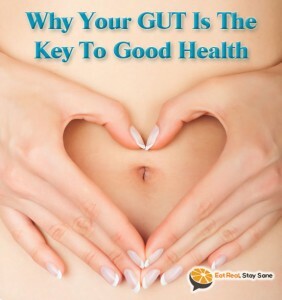 Learn why the health of your gut is connected to so many functions in your body and why it really is the key to good health. Via eatrealstaysane.com. 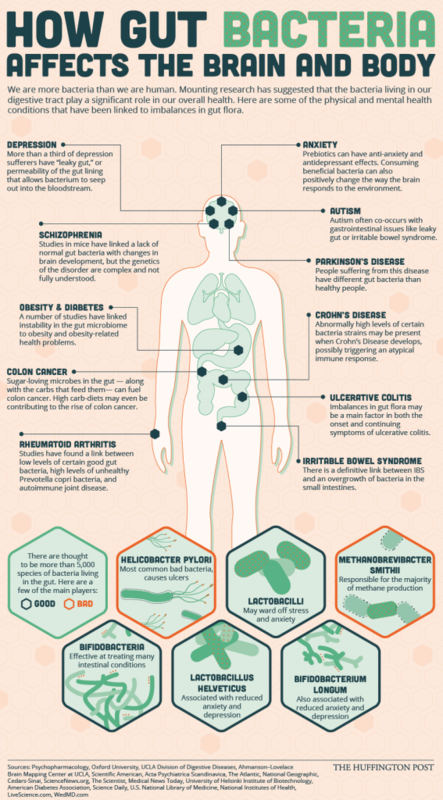 This infographic explains how stress and sleep patterns affect gut health and what you can do to improve both. 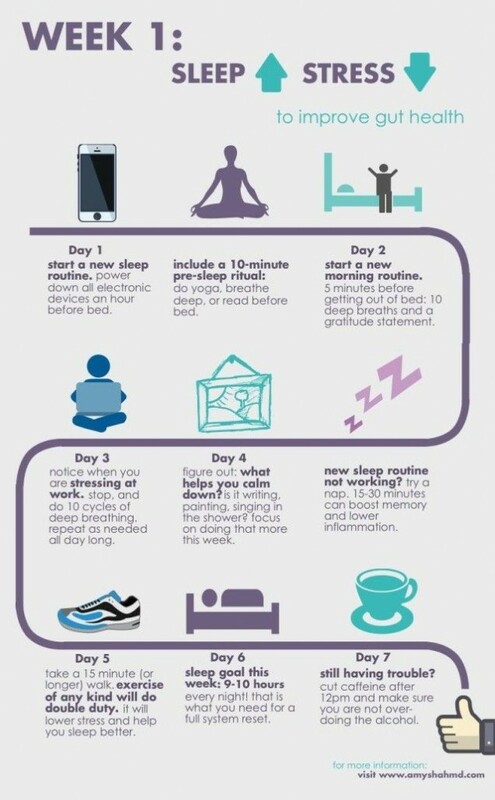 Via mindbodygreen.com. 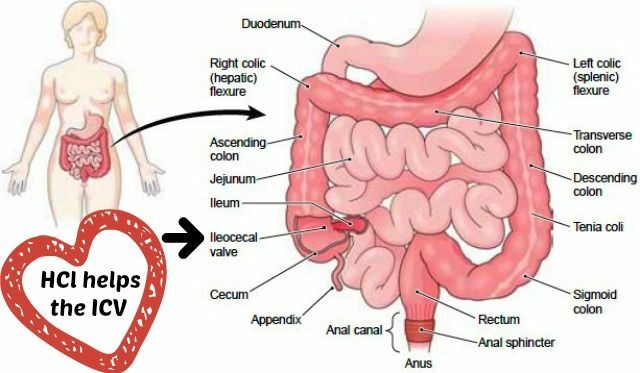 Ever heard of the “gut-brain connection”? Suffer from brain fog, depression, or anxiety? The bacteria (or lack of) in your gut actually play a role in mental health (or lack of). Via huffingtonpost.com. 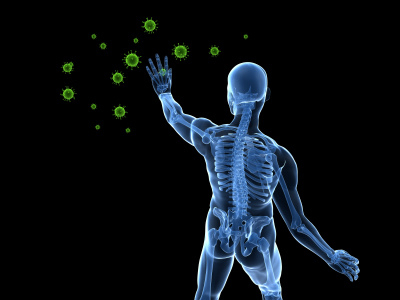 Did you know 80% of your immune system is in your gut? Imbalances within this delicate ecosystem impair the immune system — opening the door for disease. Via savorylotus.com. Katie introduces you to the bacteria in your microbiome — aka “gut” — and how you can take care of them. Via kitchenstewardship.com. Improving your digestion isn't hard. It can be as easy as starting your day with some lemon water or water with apple cider vinegar to get those digestive juices kickstarted first thing in the morning. Or if you need a bit more of kickstart, you can consider supplementing with Betaine HCl or digestive enzymes. Eating meals in a relaxed, not hurried or stressful, setting is another way to improve your digestion. Learn three easy things you can do to improve your digestion in this podcast. Via TraditionalCookingSchool.com. Sometimes poor gut health starts before the lining of the intestines. If your stomach doesn't have enough acid to break down and digest your food, that could be the source of some of your issues. Via wellnessmama.com. 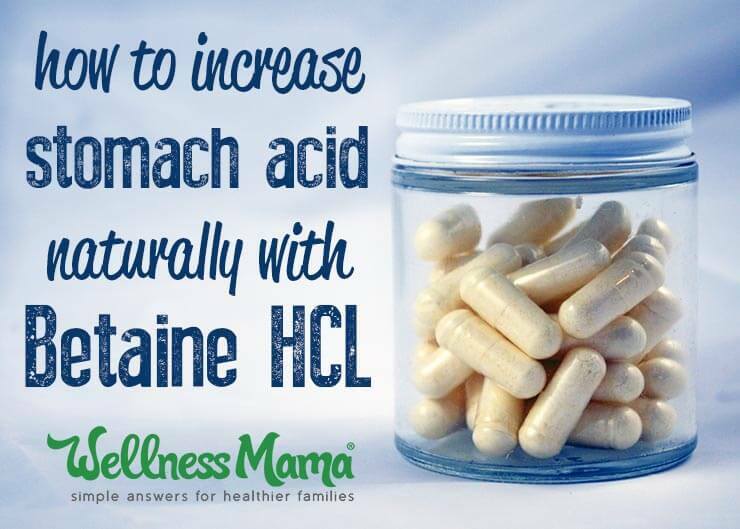 Betaine HCl may be the MOST important supplement you can take to improve digestion and, subsequently, gut health. Via foodrenegade.com. Make this Spiced Flax Sprinkle and add to anything and everything — from coffee to smoothies. 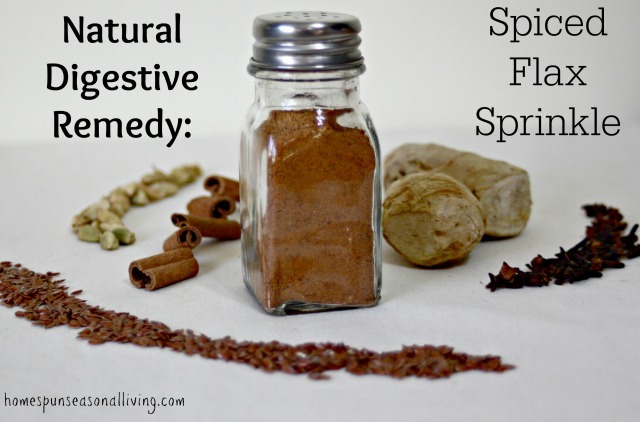 The herbs and flax seeds in this sprinkle aid digestion. Via homespunseasonalliving.com. Disease in the body is caused by some sort of imbalance somewhere, often in the gut. 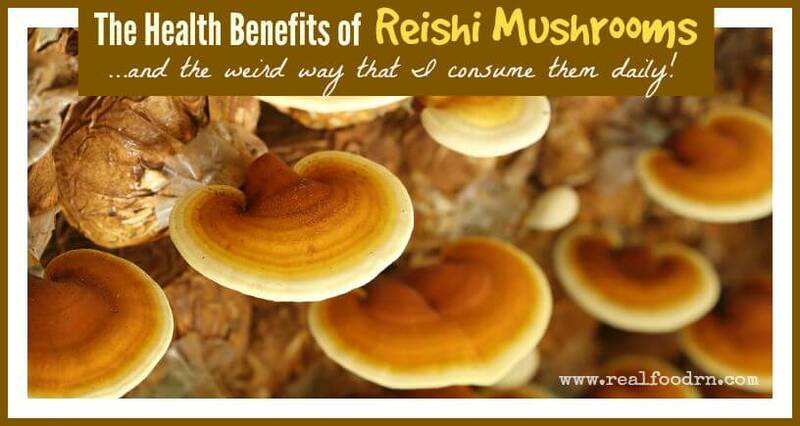 Reishi mushrooms can help restore that balance. Via realfoodrn.com. 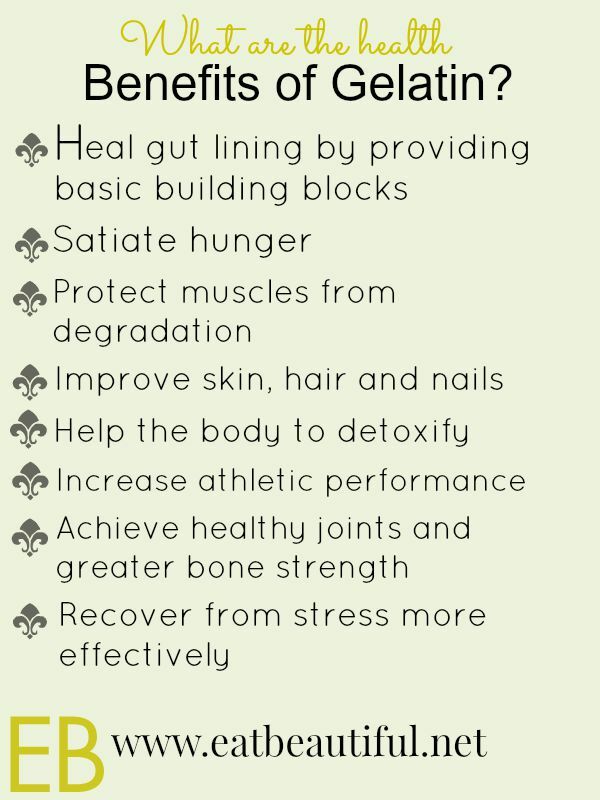 There are 10 proven benefits of L-Glutamine. 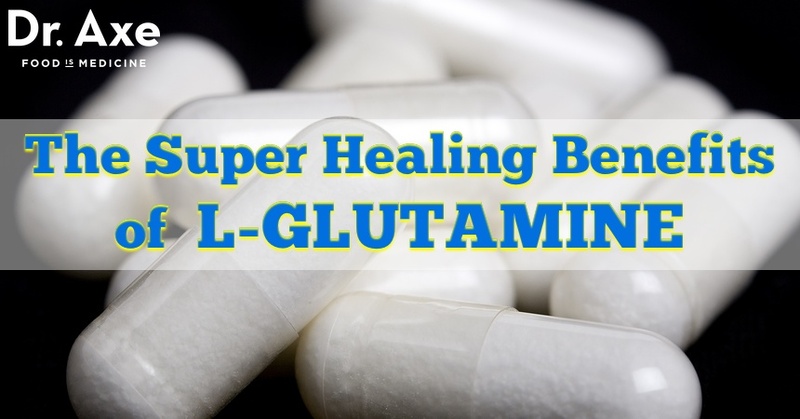 One of these benefits is that L-Glutamine provides vital nutrients for the intestines to rebuild and repair. Via draxe.com. 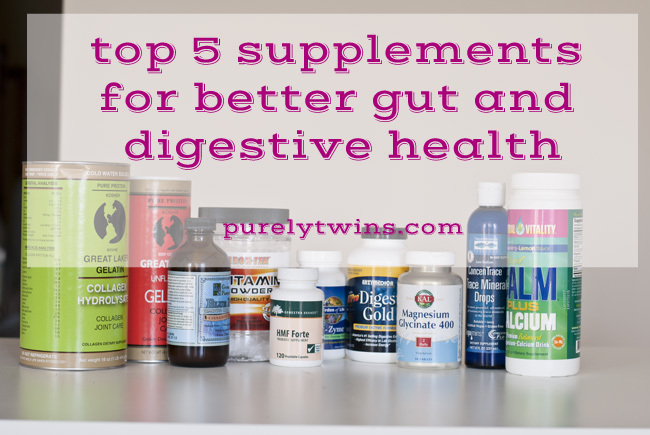 These supplements won't just improve your gut health, they'll improve your overall health! Via purelytwins.com. 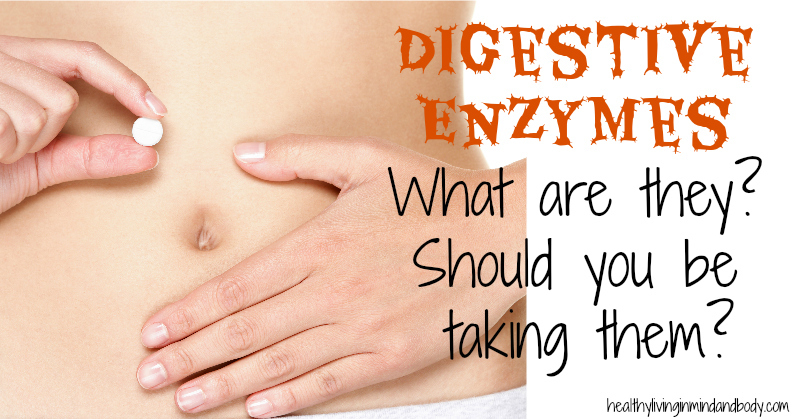 Are you familiar with digestive enzymes yet? Learn what they are and why you should be taking them. 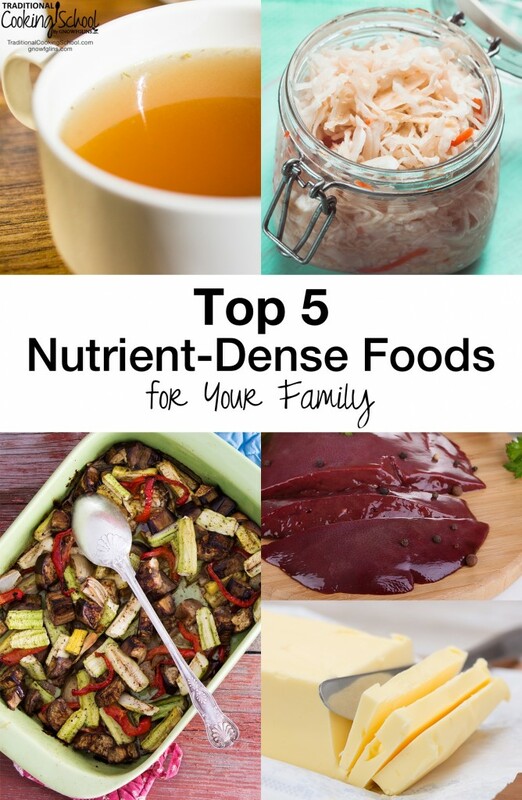 Via healthylivinginbodyandmind.com. We love bone broth for its ability to heal and seal the gut wall, improve digestion, and deliver nutrients where our bodies need it the most. It's one of the most gut-healing foods you can eat — and it's so easy to make! 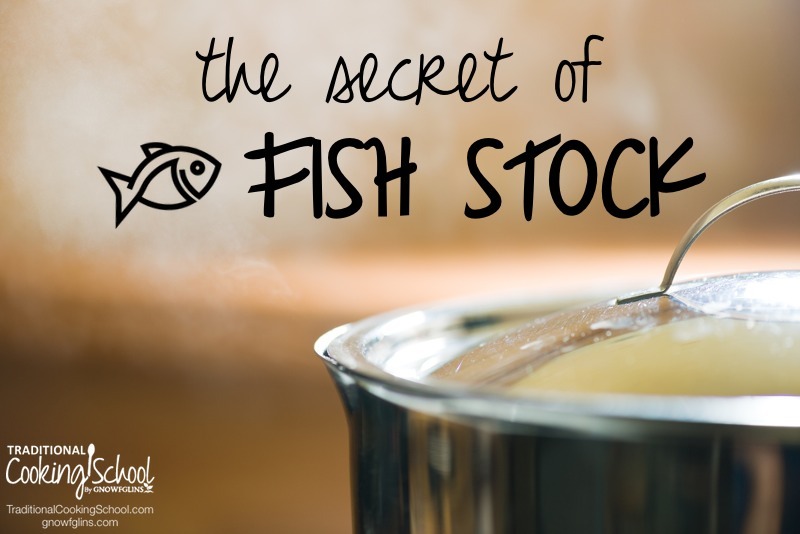 Fish stock is nourishing to the brain, thyroid, metabolism, and you guessed it … the gut! Via TraditionalCookingSchool.com. 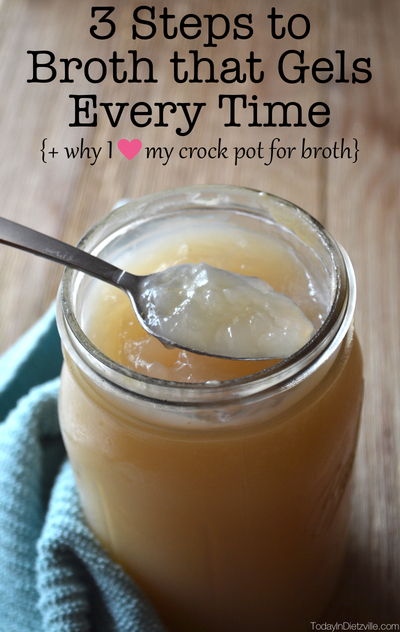 Broth is hot and easily accessible when you've got in simmering in the crock pot day after day! Learn how to make Perpetual Stock! Via TraditionalCookingSchool.com. 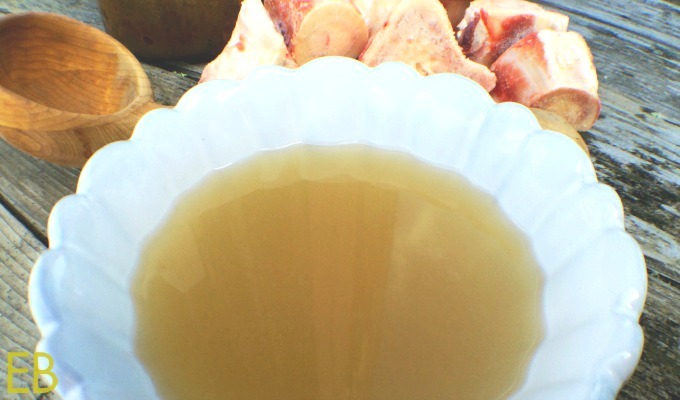 Learn how and when to harvest your bone broth to extract the most nutrients from the bones. Via eatbeautiful.net. 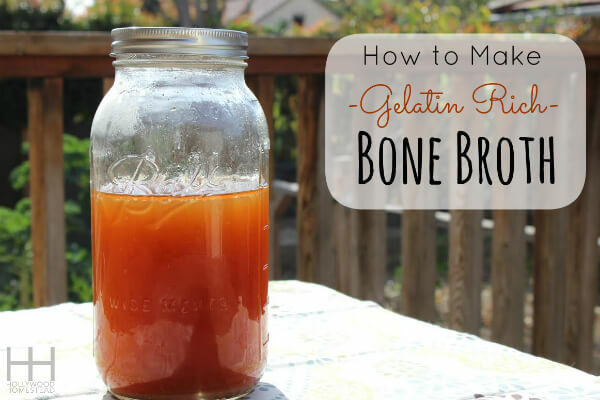 If you've never been able to achieve the “gel” of a gelatin-rich bone broth, you may be missing these steps. Via todayindietzville.com. 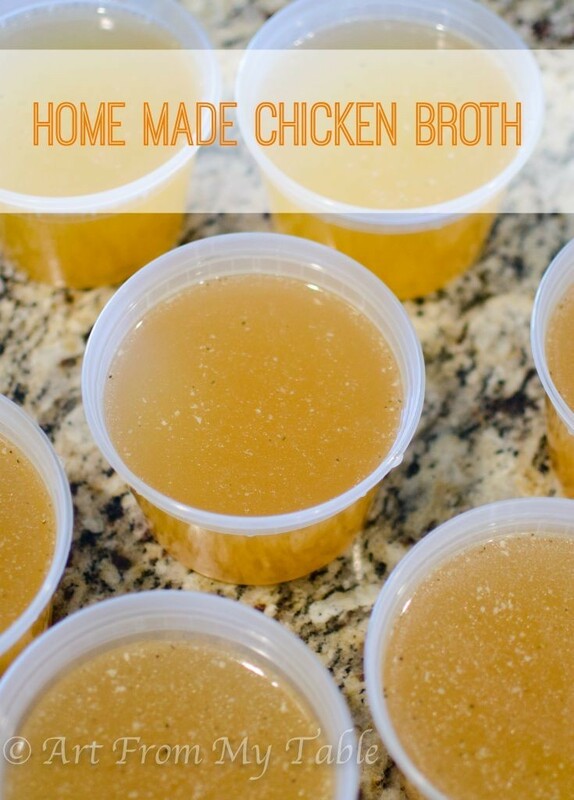 Once you learn all the benefits of homemade healing chicken broth, you'll never buy it again! Via artfrommytable.com. It doesn't do you any good to have broth sitting around that you won't drink. Learn how to make your bone broth more exciting so you can receive all the benefits — your gut will thank you! Via TraditionalCookingSchool.com. 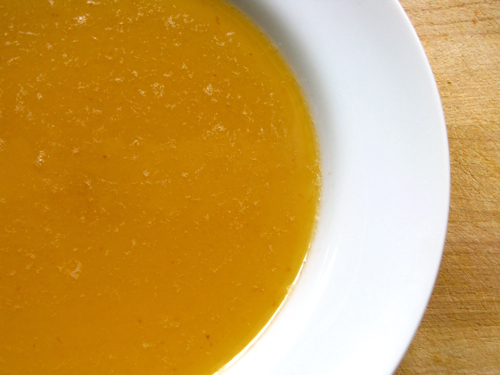 Did you know bone broth is also known as “Jewish penicillin”? 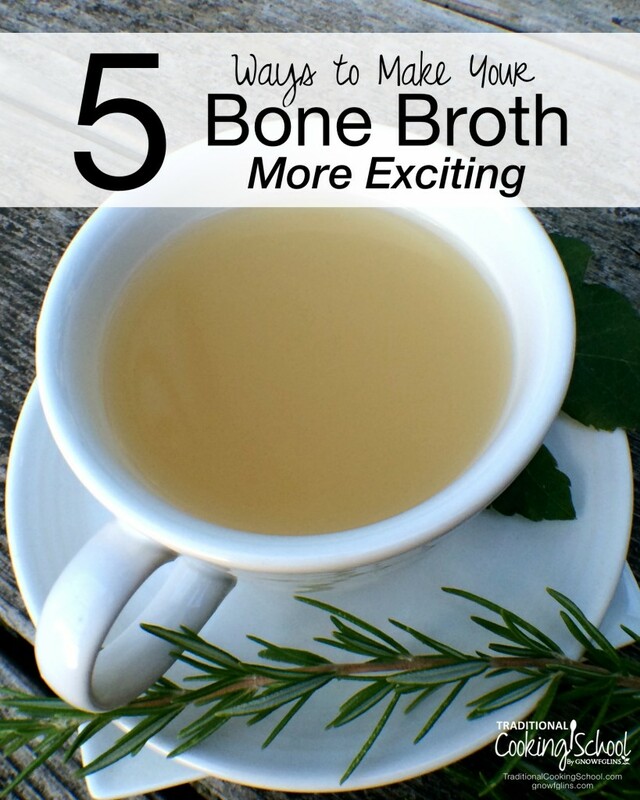 A gelatin-rich bone broth can help heal the common cold and is crucial to re-build the gut lining. Via hollywoodhomestead.com. 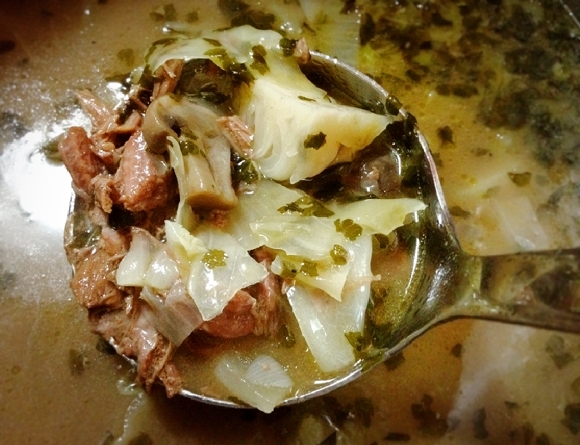 Beef bone broth is super rich in minerals, amino acids, gelatin, and collagen — all necessary for a health gut! Via naturalfitfoodie.com. 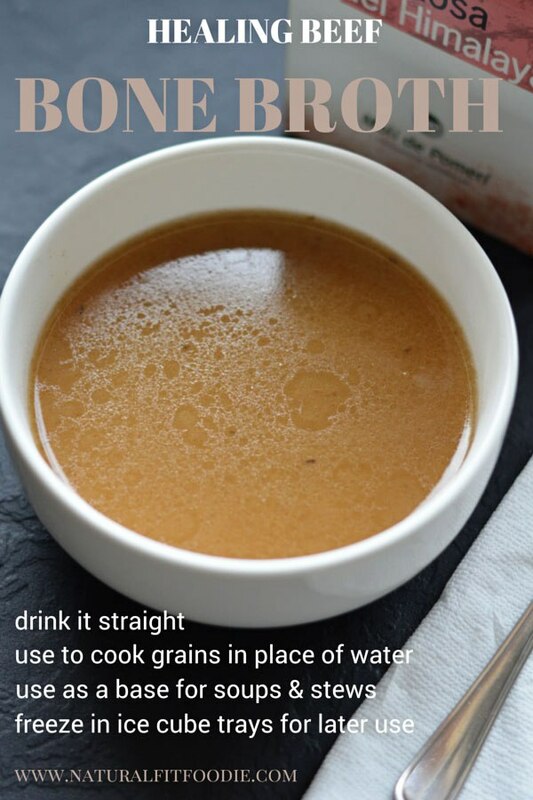 If the thought of drinking stock straight from a mug isn't very appealing to you, here are eight alternative ways you can incorporate it into your diet. Via TraditionalCookingSchool.com. 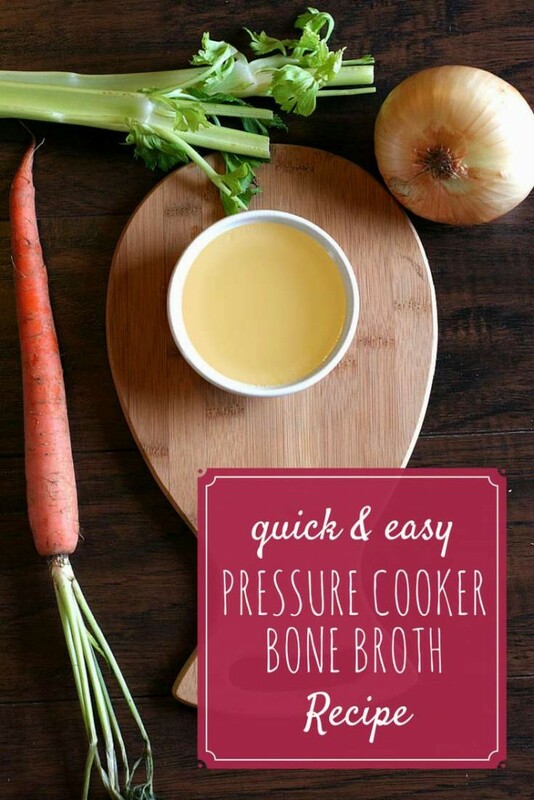 The benefits of bone broth are available to you in minutes when you make it in a pressure cooker! Via deliciousobsessions.com. 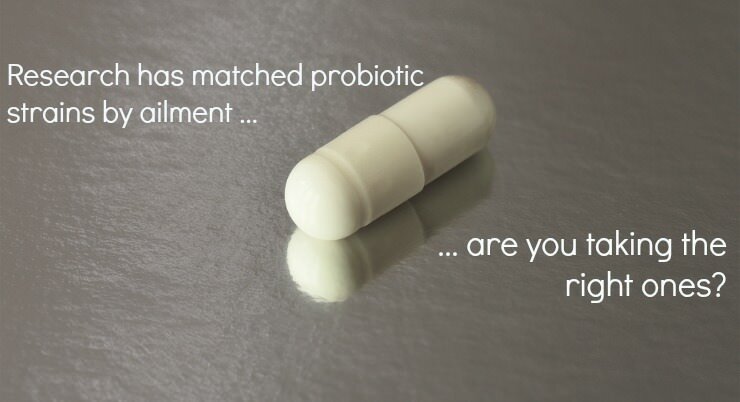 The delicate balance of good vs. bad bacteria and yeasts in our intestines is easily thrown out of whack, which is why taking quality probiotic supplements can help you more easily maintain that balance. There are hundreds of bottles and brands on the market, but don't be tempted to run to your local big box store and buy the cheapest one available. You'll be sacrificing quality and money if you do. Also be aware that a refrigerated probiotic isn't necessarily a better probiotic. 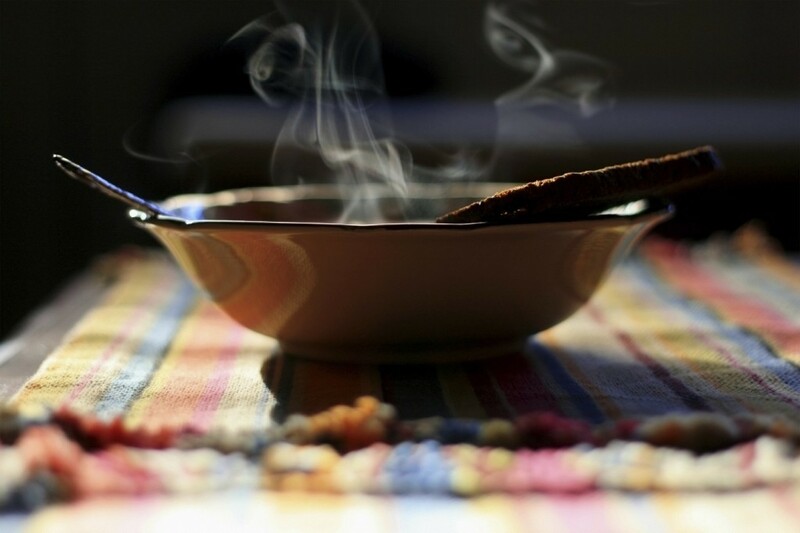 According to Dr. Natasha Campbell-McBride, a probiotic that is stable at room temperature indicates strong, viable organisms that can withstand the heat and enzymes of the digestive system. 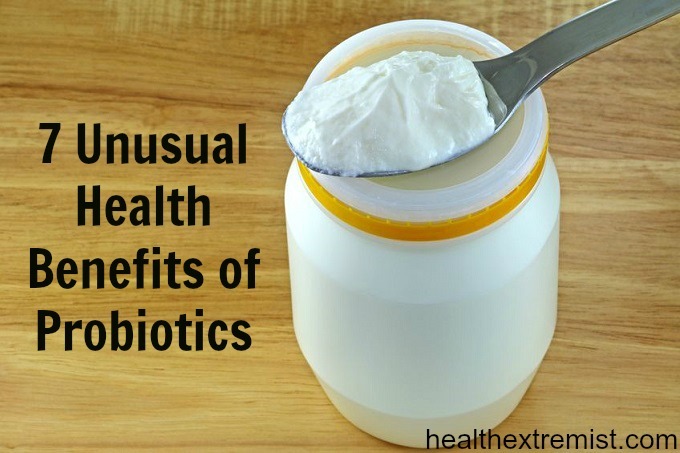 Probiotics should also contain strains of these three types of probiotics: Lactobacillus, Bifidobacterium, and Soil-Based Organisms (SBOs). And the genus and species of each type of probiotic should be labeled on the bottle. You already know that probiotics are necessary for gut health, but did you also know there are other health benefits — things you might not associate with probiotics? Here are seven! Via healthextremist.com. 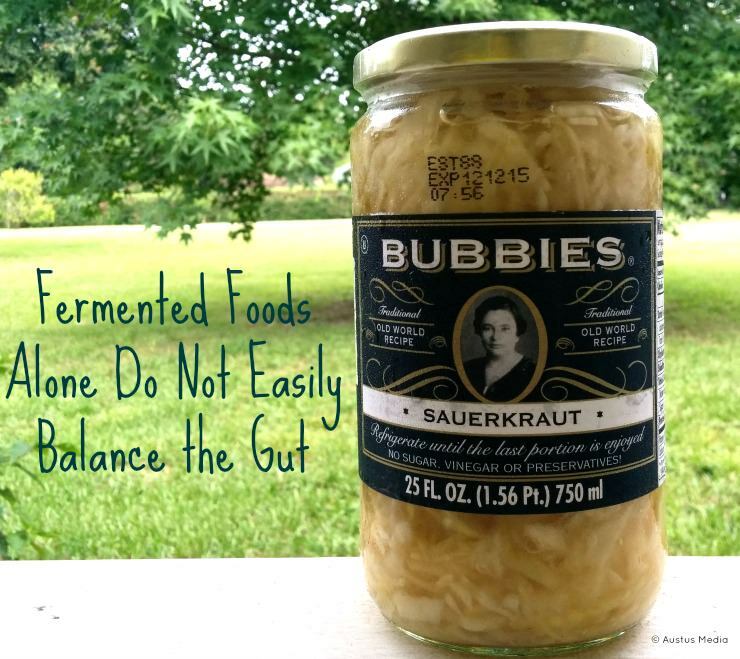 Think eating fermented foods is enough to balance the gut? According to this article, you might need to think again. Via thehealthyhomeeconomist.com. Not all probiotics are created equal, and you may be taking the wrong probiotic and not even know it. 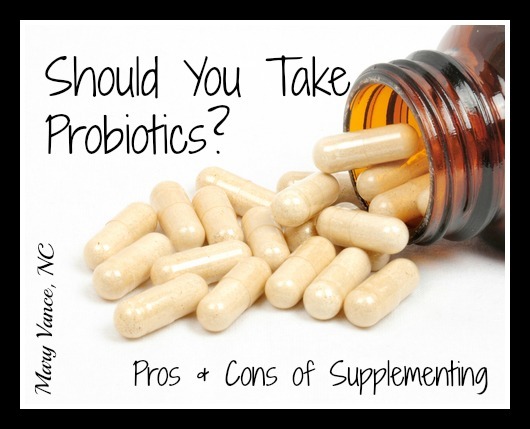 Learn the myths surrounding probiotics and how to find the probiotics that are right for you. Via mommypotamus.com. 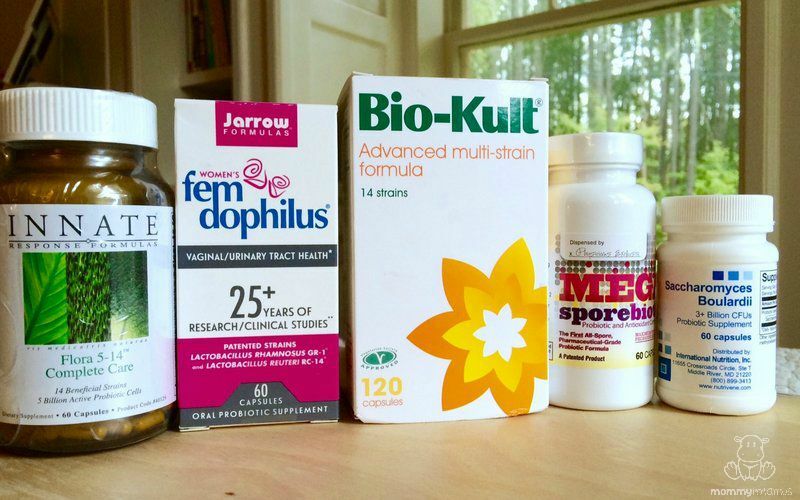 Wondering if you even need probiotics? Are there any downfalls? What if probiotics actually make your digestive health worse? Answer these questions and more in this post. Via maryvancenc.com. 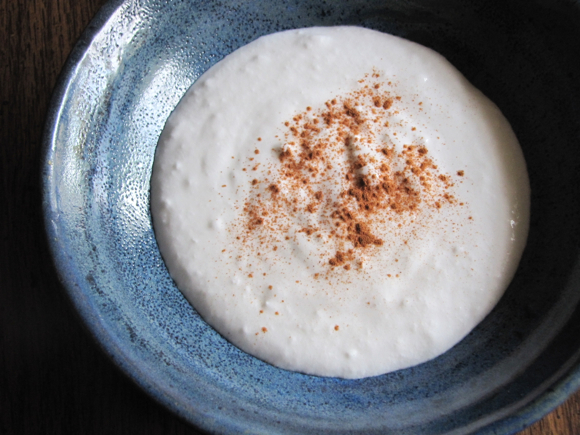 Increasing probiotic intake slowly, taking occasional breaks from probiotics, and paying attention to your body are things to consider when introducing fermented foods and probiotics into your diet. Via TraditionalCookingSchool.com. 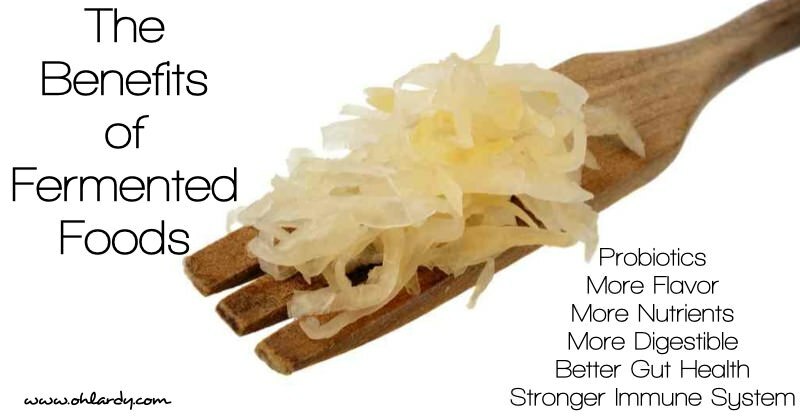 Fermented foods and probiotics go hand in hand. Different strains of beneficial bacteria and yeasts are found in different fermented foods, and all are helpful for the healing and maintenance of the gut. Eating fermented foods WITH meals also improves digestion because those organisms help to digest our food! For proper digestion and absorption of vitmins and minerals, you should include probiotic or fermented foods with EVERY meal. Here's how and why! Via TraditionalCookingSchool.com. 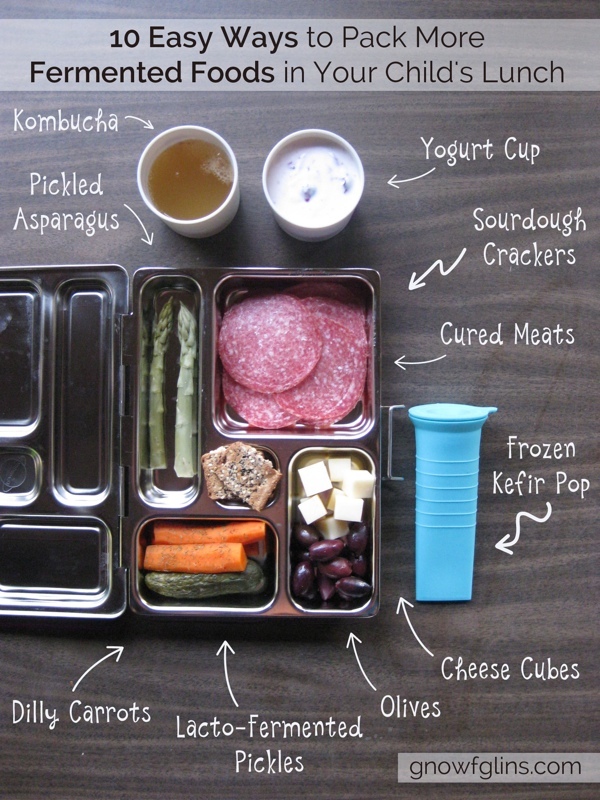 Make sure your kids are getting the benefits of fermented foods — even while they're at school — by packing fermented foods in their lunch! Via TraditionalCookingSchool.com. The benefits of fermented foods for your gut, as well as your entire body, are numerous. Once you read about all those benefits, you'll never want to miss out on the opportunity to eat fermented foods again! Via ohlardy.com. Now that you know how vital fermented foods are to the health of your tummy, it's time to start making them! It’s pretty awesome how sneaky we can get with ferments, and when people don’t know there are millions (maybe even billions!) of tiny, healing organisms living in their food, they somehow, magically, enjoy things they would otherwise think are gross. Via TraditionalCookingSchool.com. The beauty and nutrition of our favorite spring foods, like strawberries, snap peas, and asparagus, are enhanced when fermented. 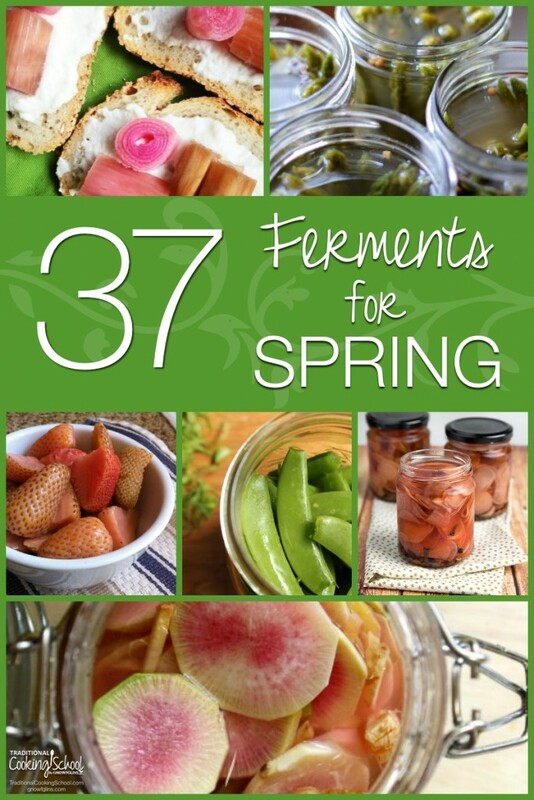 As spring approaches in a few months, you'll want to have this list of 37 ferments ready to go! Via TraditionalCookingSchool.com. 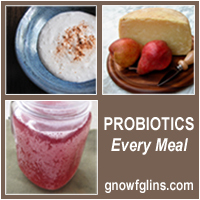 If you won't eat your probiotics, surely you'll DRINK them! And there's no shortage of choices in this huge round-up of 56 fermented and probiotic drinks — beyond kombucha and kefir! Via TraditionalCookingSchool.com. 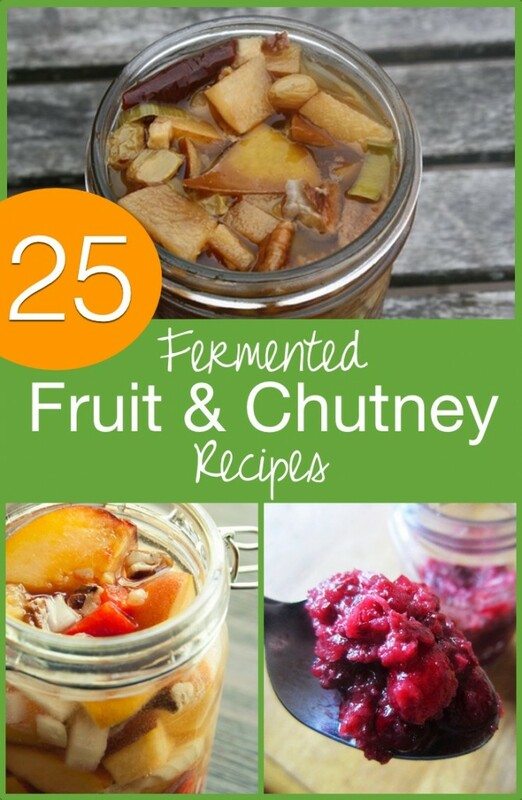 A fermented fruit or fruit chutney are often the most palatable places to start if you're new to fermented foods. Via TraditionalCookingSchool.com. Take your traditional condiments, like mayo and mustard, up a few notches by fermenting them. Or how about fermenting some less common condiments, like gochujang and fish sauce? You won't run out of fermented condiments with this round-up. Via TraditionalCookingSchool.com. 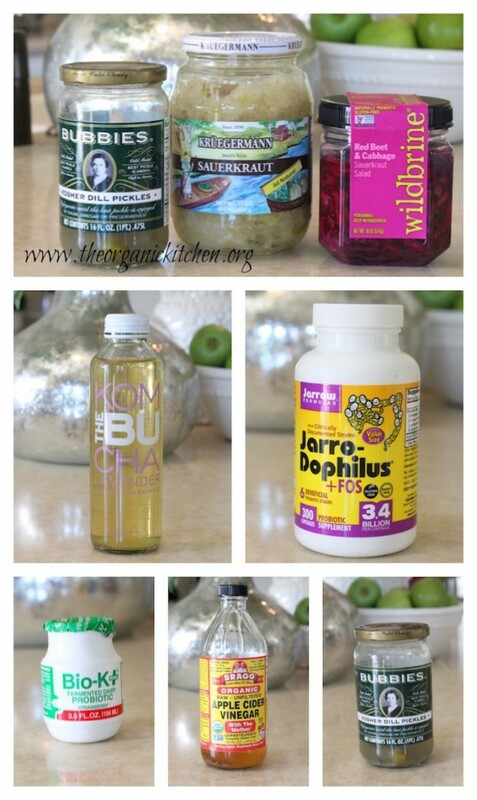 Dress up your salads even more and improve your gut health at the same time by using fermented salad dressings! Via TraditionalCookingSchool.com. Probiotics and fermented foods help re-populate the gut with beneficial organisms, while coffee enemas help clean the gut of pathogenic organisms and toxins. Coffee enemas also improve digestion by cleaning out the liver and gallbladder, and stimulating the gallbladder to produce more bile. Coffee enemas further reduce system toxicity by alleviating constipation, clearing out parasites and parasite nests, and cleansing the colon walls of old, stuck feces. 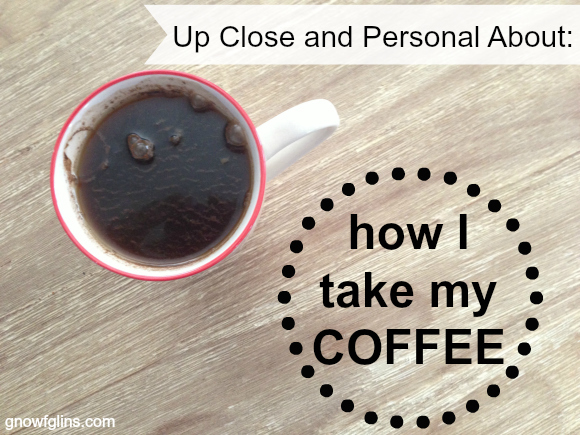 Trust me — you want to be doing coffee enemas for your gut health as well as your overall health! No Way, I'm Not Doing THAT! 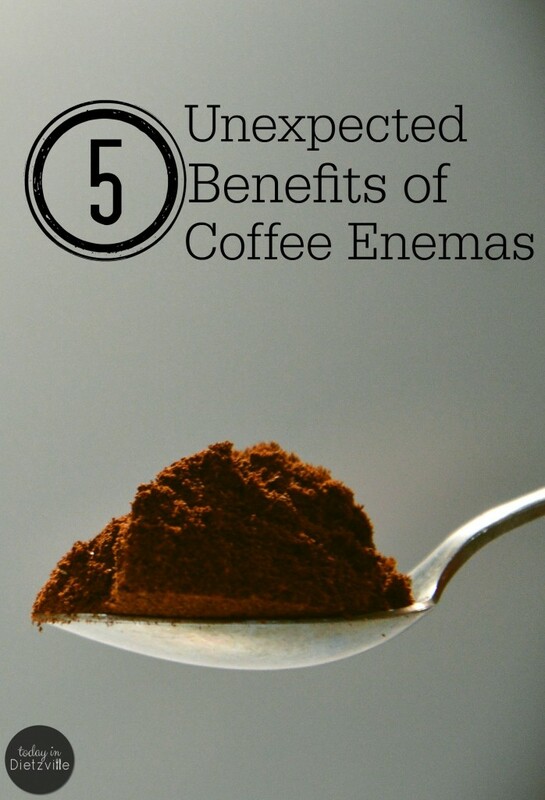 Does the thought of coffee enemas make you squeamish? You're not alone! Here's why coffee enemas are a great tool to add to your gut-healing toolbox. Via TraditionalCookingSchool.com. 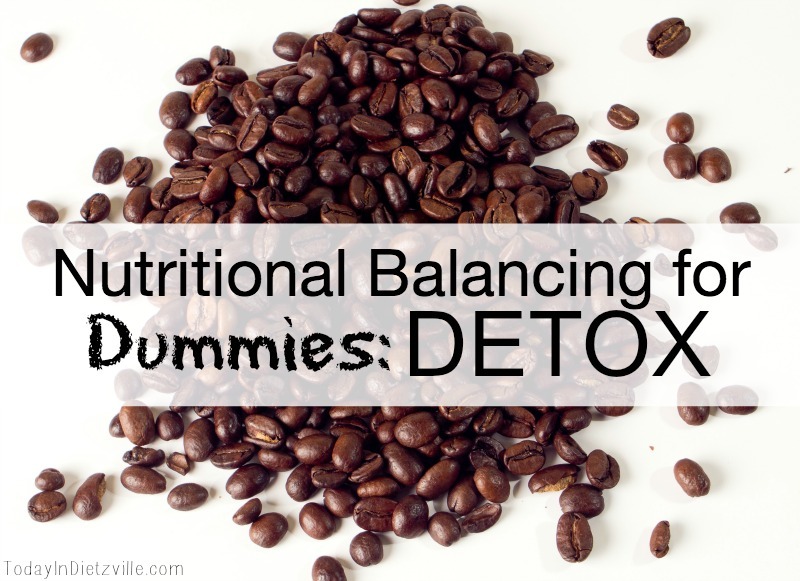 One healing protocol known as Nutritional Balancing stresses the use of coffee enemas for detoxification. Read all about why coffee enemas are such a helpful detox tool in plain English. Via todayindietzville.com. 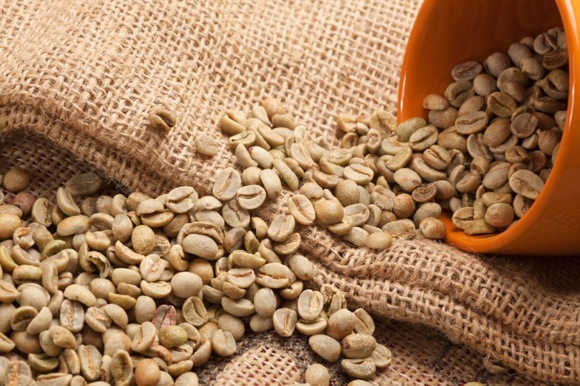 Getting rid of gallstones and parasites are just two of the many benefits of coffee enemas. Let's get up close and personal about this topic! Via TraditionalCookingSchool.com. I was expecting to get rid of gallstones and detox my liver. What I wasn't expecting were a few other side benefits of coffee enemas — specifically benefits related to female health. Via todayindietzville.com. 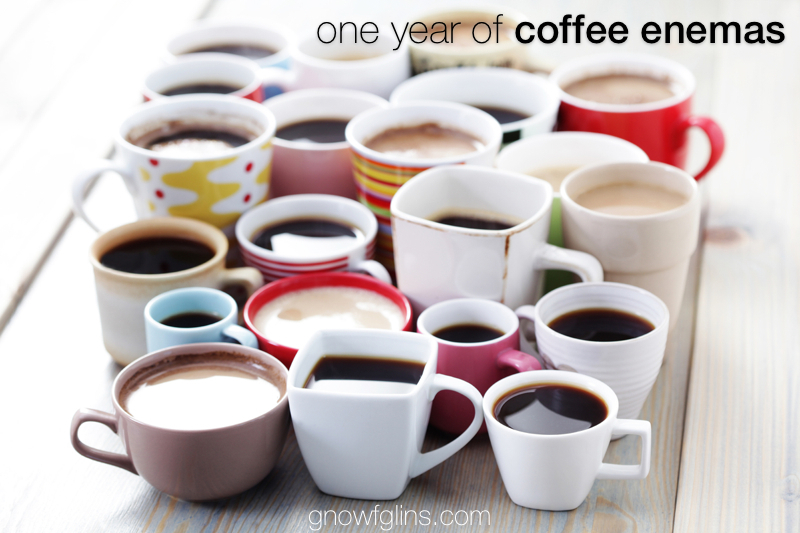 I share my experiences and results after doing coffee enemas daily for a whole year! Via TraditionalCookingSchool.com. 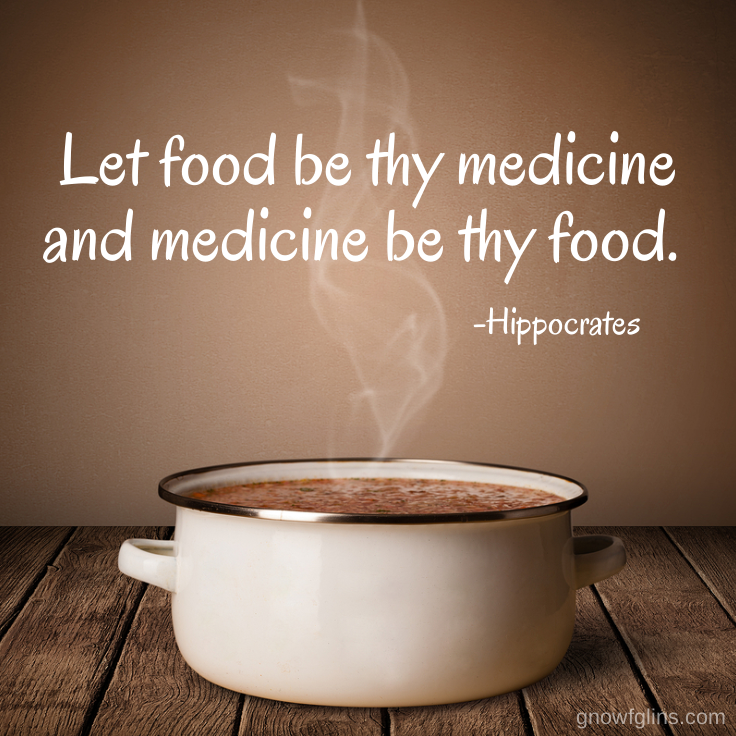 When I say “healing foods”, I'm talking about more than bone broth — although that's an excellent place to start. Healthy fats are also soothing and healing to your gut, so eat more grass-fed butter and ghee, coconut and avocado oils, tallow and lard. Organ meats — especially from pastured animals — are beneficial to the body as well. Stressed out about Real Food and what you're supposed to eat? Keep one simple principle in mind by eating these five nutrient-dense (and gut-healing!) foods, and you'll do just fine. Via TraditionalCookingSchool.com. Did you know gelatin is one of the most healing foods for your gut? And you don't have to limit your gelatin intake to kiddie foods like jello and gummies. 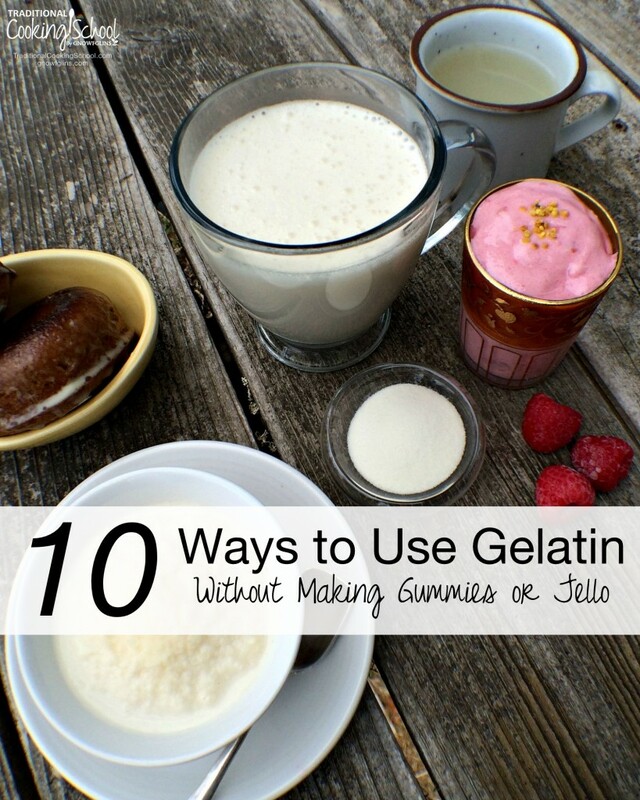 Here are 10 ways to use gelatin WITHOUT making gummies or jello. Via TraditionalCookingSchool.com. 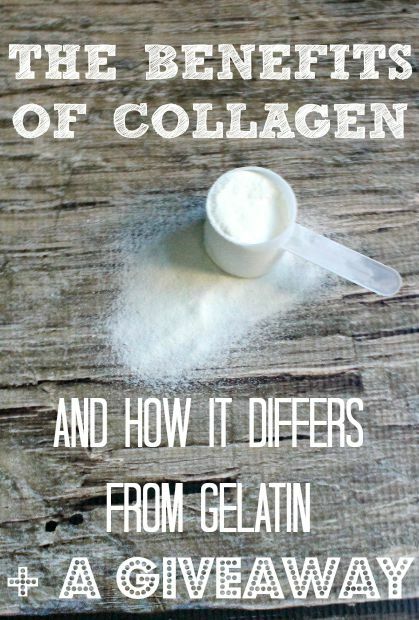 Collagen and gelatin are not the same thing, but they are both healing to your gut. Here's how they're different, plus why you want to give collagen a try too. Via ancestralnutrition.com. Just reading this list of gelatin's benefits should make you want to consume it every chance you get! Read more about this amazing stuff! Via eatbeautiful.net. The new year is a great time to think about your gut health and to start healing it. Via TraditionalCookingSchool.com. 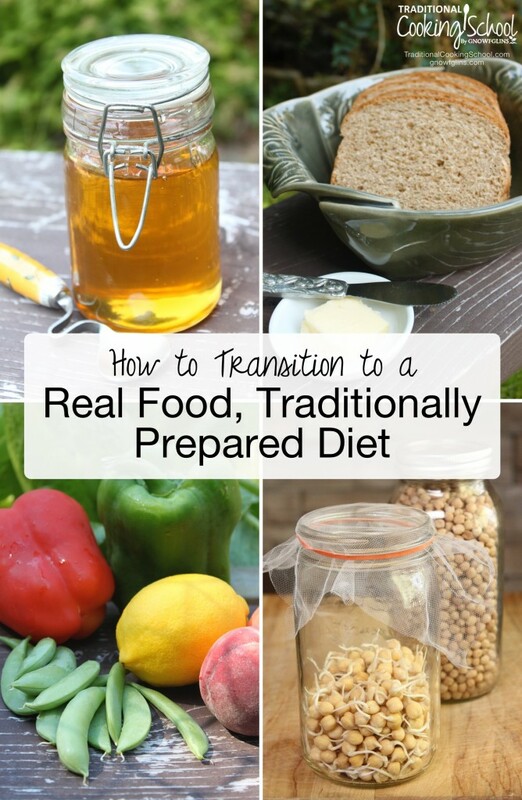 Traditional foods don't have to be overwhelming. You can incorporate them into your lifestyle in six easy steps. Via TraditionalCookingSchool.com. This healthy eating thing is a marathon, not a sprint — and this post breaks the transition down to 10 do-able steps. Via TraditionalCookingSchool.com. 8. Eliminate the Foods That Are Making You Sick — Including Sugar! When you're working hard to heal your gut, the last thing you want to do is eat a bunch of stuff that's going to cancel out all your efforts and maybe even make your gut worse. The processed, boxed, canned stuff has to go. 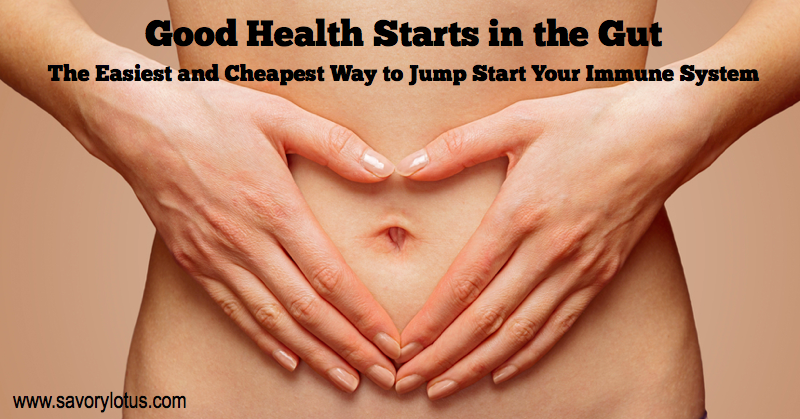 If you're healing your gut, Cokes, candy, and cupcakes are a thing of the past. And you may have to get serious about eliminating foods, such as grains, that will slow or stop your healing. 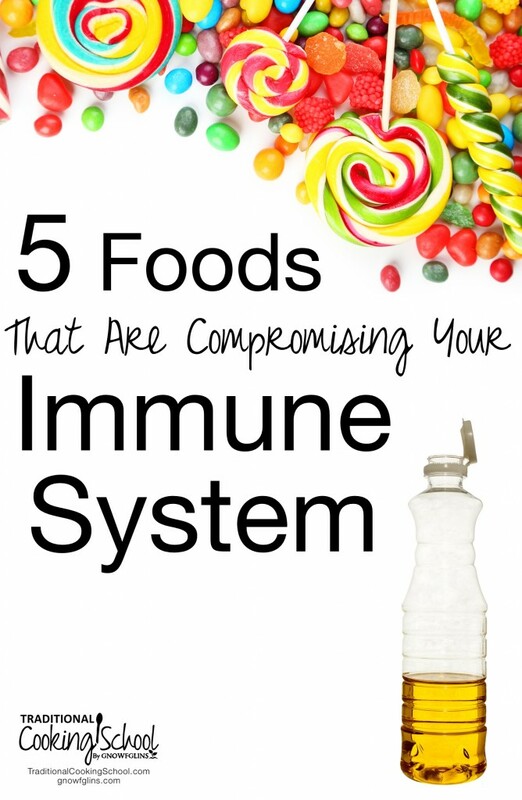 The foods you eat truly do help or hurt your entire body, especially your immune system. And since 80% of your immune system is in your gut, it's time to know what those compromising foods are and get them out of your diet. Via TraditionalCookingSchool.com. There's a lot of controversy surrounding grains. Are they ok? Are they not? 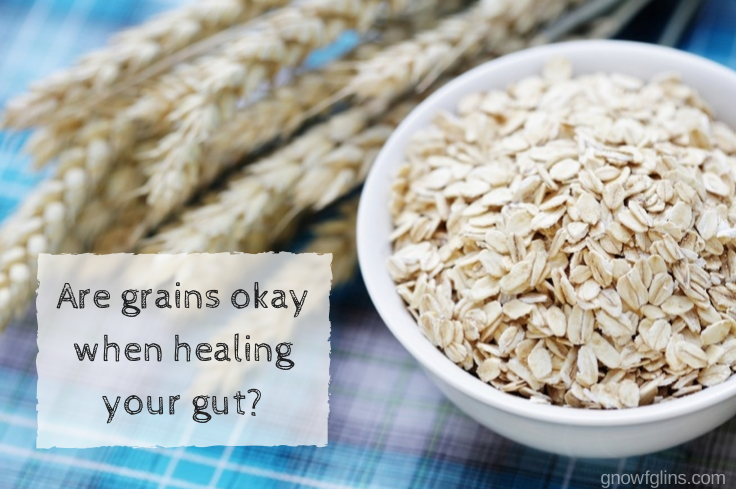 Find the answers to your questions about grains and gut health here! Via TraditionalCookingSchool.com. 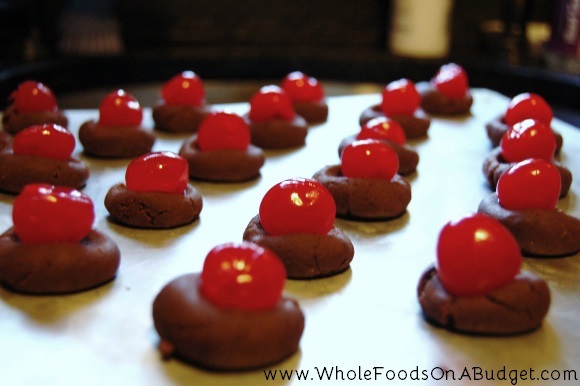 How do you navigate your way through birthday parties, events, and holidays when they're all so full of sugar? With faith and grace for yourself! Via TraditionalCookingSchool.com. 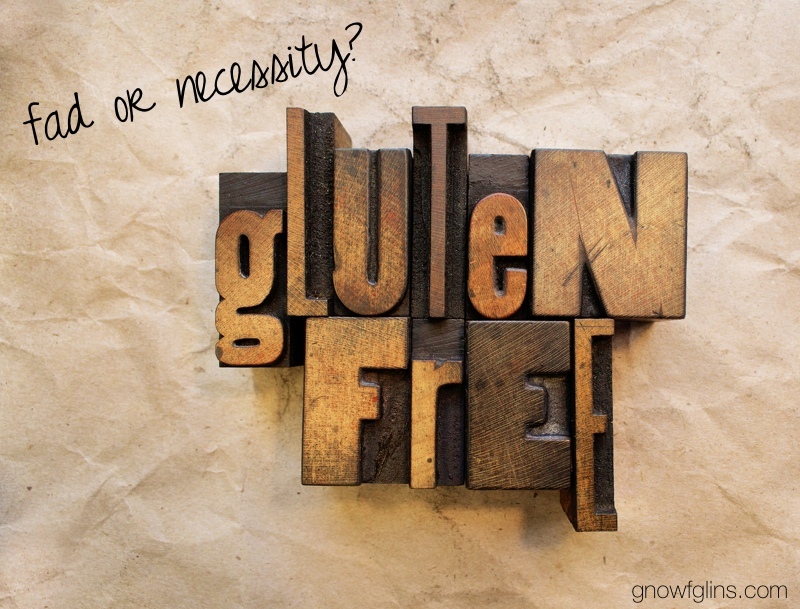 Is “going gluten-free” the latest trend or is it actually necessary? If eliminating gluten from your or your loved one's life is something you've thought of, keep reading and have your lingering questions answered. Via TraditionalCookingSchool.com. What if grains really are the culprit for you? If you have an allergy or sensitivity to grains or if you consume them regularly and have digestive distress, your leaky gut may be caused by grains. Via thepaleomama.com. 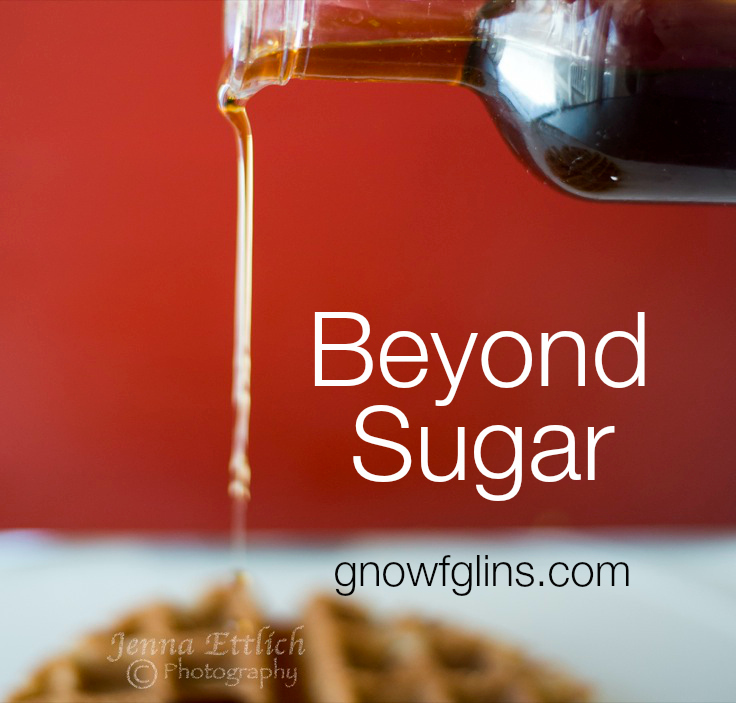 Sugar is a huge obstacle to overcome when trying to heal your gut. Maybe you'd like to try eliminating sugar from your life for just three weeks and see if you feel a difference! Via TraditionalCookingSchool.com. 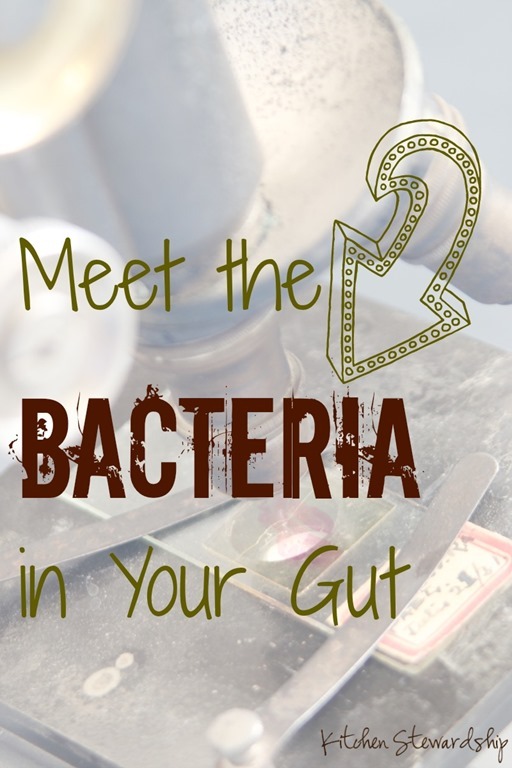 Probiotics and fermented foods feed our guts with beneficial organisms, right? Once they're inside of us, they are like little pets — and they need love and food too. That's what PREbiotics and resistant starch are: the food for our PRObiotics. Foods that are resistant to the power of the digestion of the small intestine are known as resistant starches. 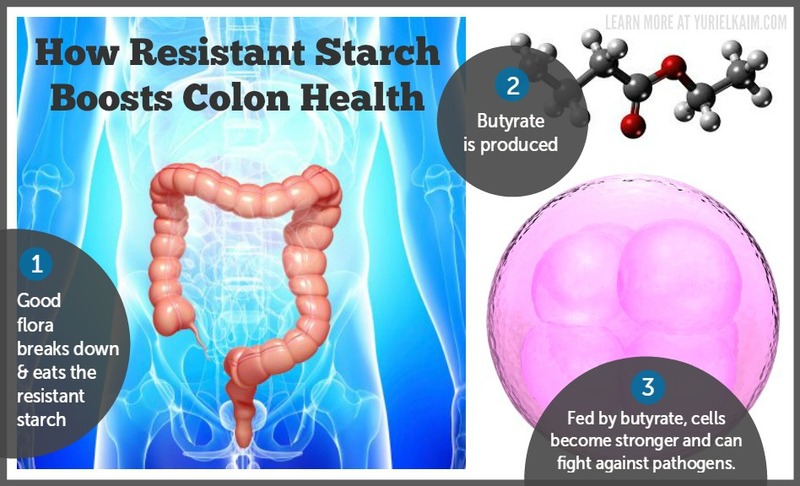 The overall health benefits to consuming resistant starches are many. Via yurielkaim.com. 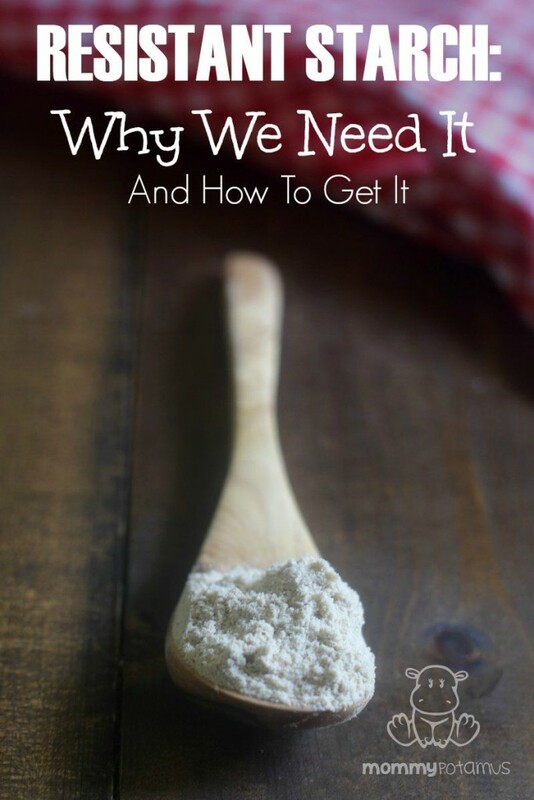 All your questions about resistant starch answered! Via mommypotamus.com. What if taking a mixture of herbs and honey before meals was one easy way to promote the health of your microbiome? Guess what? It is! Via herbalacademyofne.com. Resistant starch — found in green plantains — is food for your microbiome. 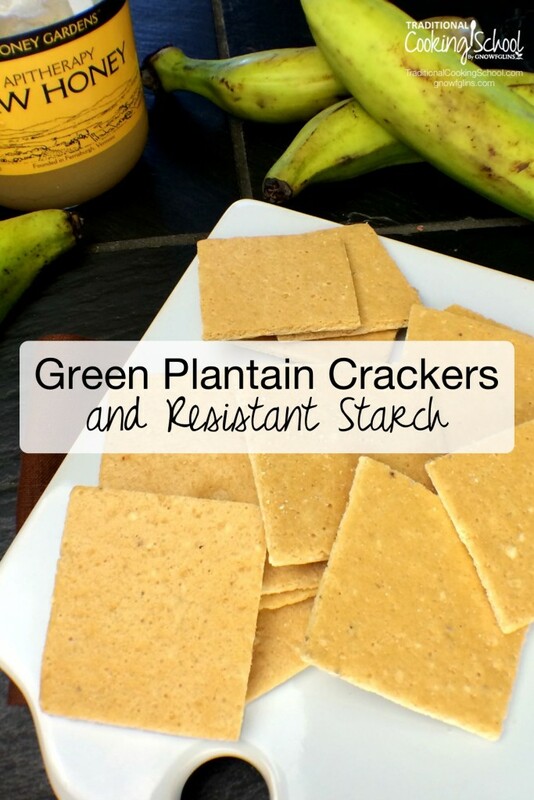 These plantain crackers are an easy and delicious step toward better gut health! Via TraditionalCookingSchool.com. Gut health is just as much about what goes in as it is about what's eliminated from your diet. Fiber and inulin are two of the things you definitely want going in! Via deliciousobsessions.com. If you crave sugar all the time, you have pathogen overgrowth. It's a hard habit to break, but your gut (and your brain) will thank you if you can get those harmful pathogens, such as candida, under control and start wiping out their population in your body. Figure out if candida is an issue with this simple, at-home test. Via hawaiinaturopathicretreat.com. 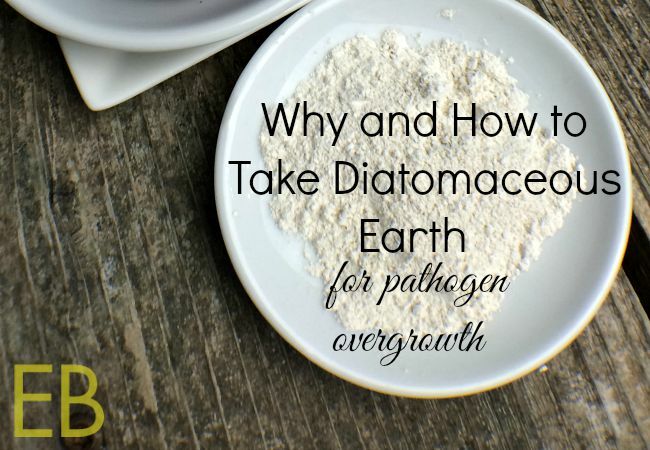 Diatomaceous earth is an effective remedy for pathogen overgrowth. Learn why and how to take it. Via eatbeautiful.net. Did you know eczema and other skin issues, allergies, itchy ears, and mood swings are all symptoms of possible candida overgrowth? Learn if you have any of the other signs, plus what to do about it if you do. Via mindbodygreen.com. 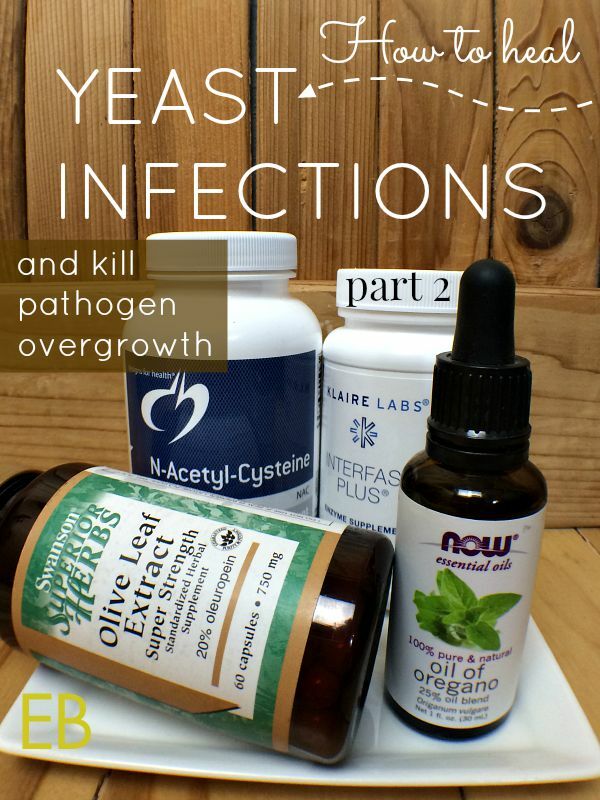 Yeast infections are a sure sign of pathogen overgrowth, yet it is possible to treat both the yeast infection and the pathogen overgrowth yourself! Via eatbeautiful.net. 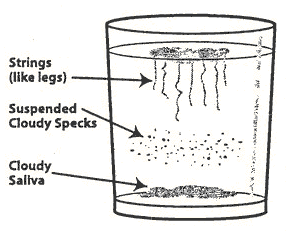 Get your candida overgrowth under control before it begins to control you. Via truthnhealth.com. Essential oils are not to be overlooked when you're working on healing your gut. They can be used in a variety of applications. 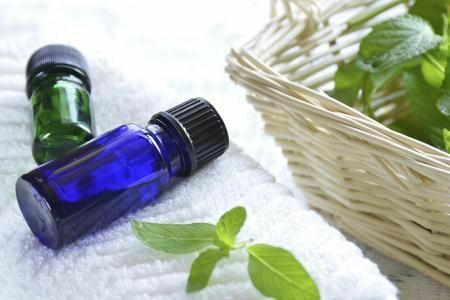 Peppermint oil works wonders on gas, bloating, and heartburn; lemon oil can kickstart digestion; and oregano oil is a powerful ally against pathogen overgrowth. Just do your research, invest in high-quality oils, and consult a certified aromatherapist if necessary to guide you. 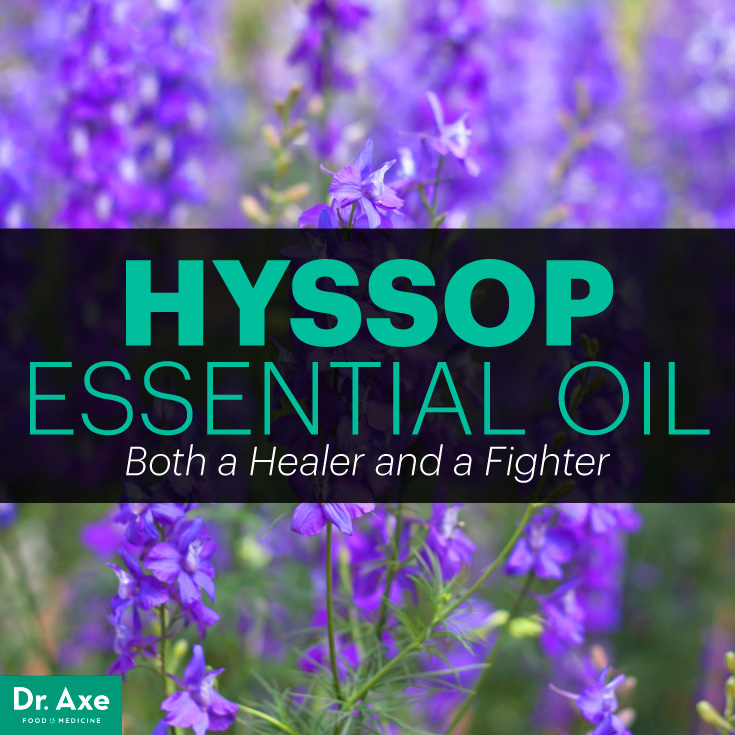 In addition to healing respiratory conditions and fighting infection, hyssop essential oil also fights parasites and stimulates the bile for better digestion. Via draxe.com. 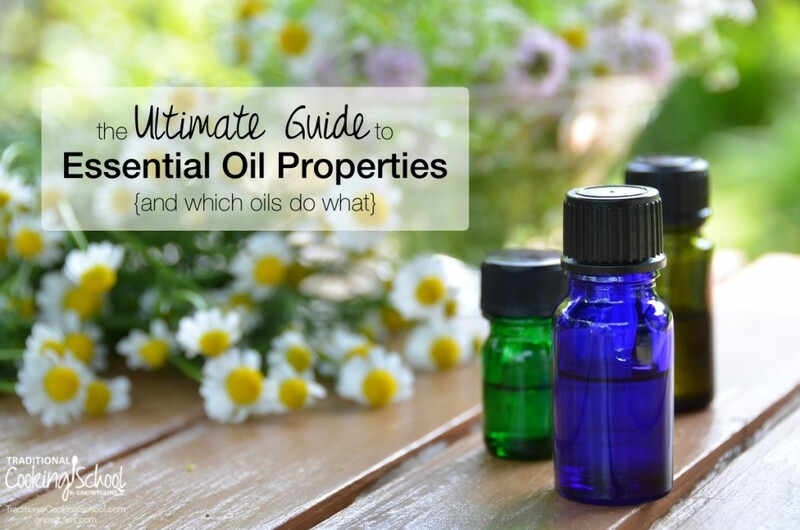 It would be impossible to memorize a list of all essential oils and what each of them does. But you don't have to! With this huge list of oils and their properties, you can learn which ones you need to ease and heal your gut. Via TraditionalCookingSchool.com. 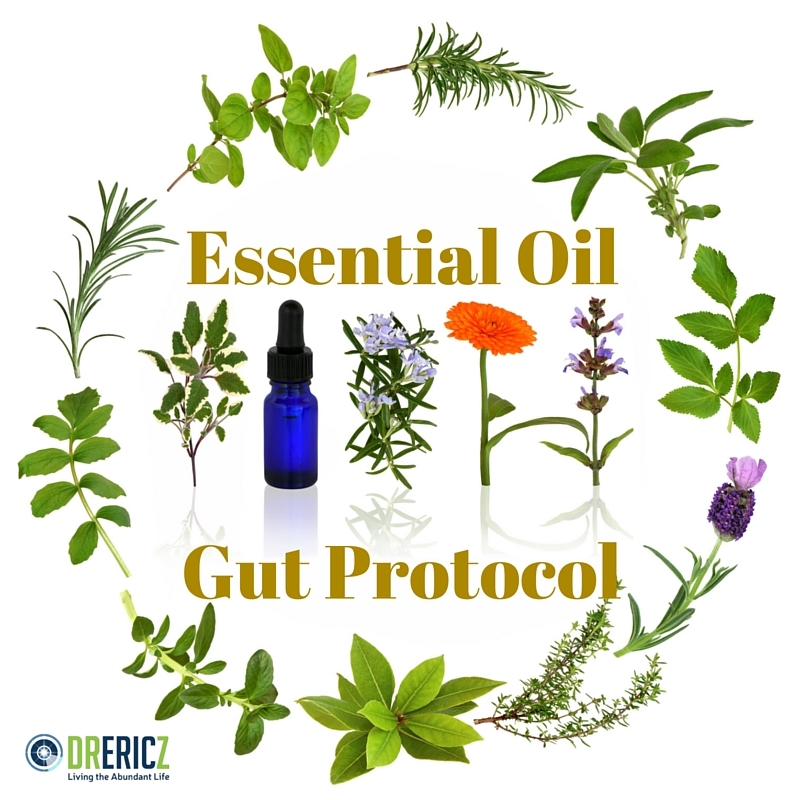 An essential oil protocol may be a powerful tool in your arsenal as you work toward better gut health. Via drericz.com. 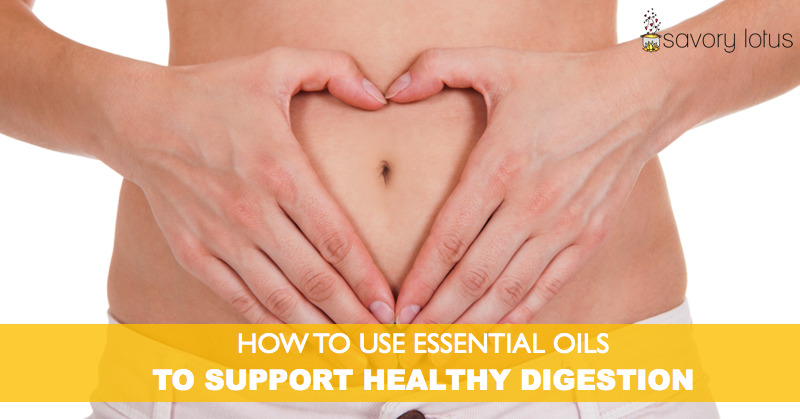 Choosing the right essential oil to support healthy digestion is just as important as knowing how to use them. This article explains everything you need to know. Via savorylotus.com. If stress is causing your digestive di(stress), this essential oil recipe may bring you some relief. Via aromatics.com. This is when you pull out all the stops and get down to business with your belly. A gut-healing diet is restrictive, and it's not easy, but it is possible to heal yourself of issues that have made you sick for years. 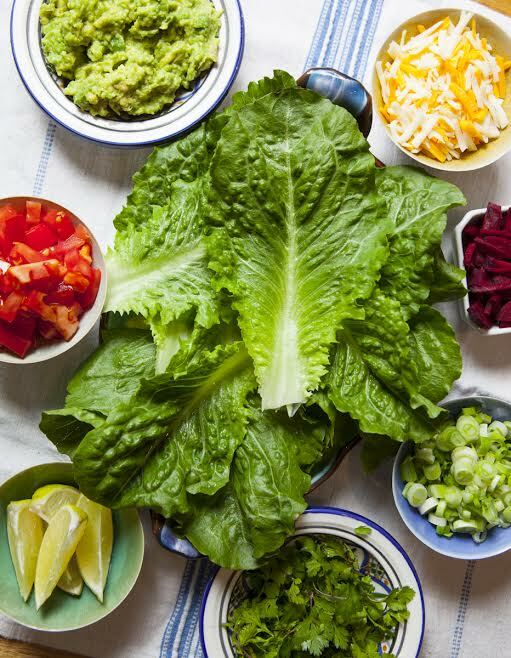 Which Gut-Healing Diet Is Right for You? You know you're reading to embark on a gut-healing diet… but which one? If you find yourself confused over all your options, this post breaks it down and will help you find the healing diet that's right for you. Via it-takes-time.com. 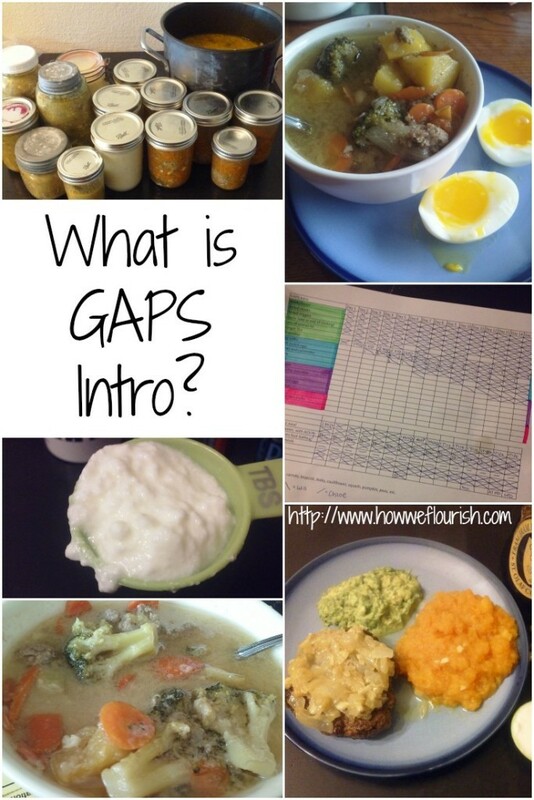 Get all your questions about the GAPS Intro diet answered here! Via howweflourish.com. 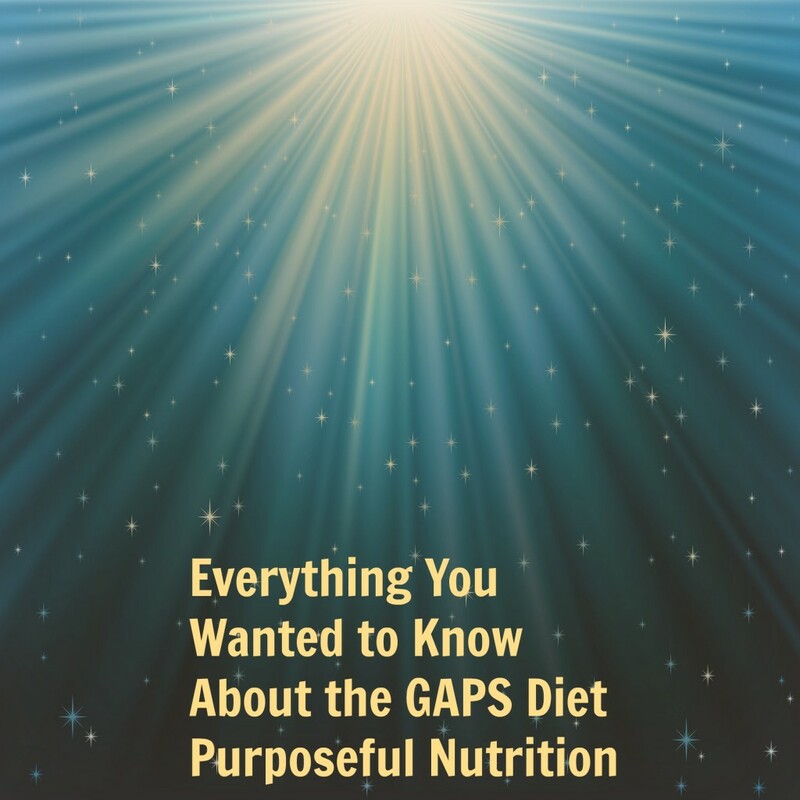 If you've decided that GAPS is right for you, here's a full explanation of the two parts of the GAPS Diet: Intro and Full GAPS. Via TraditionalCookingSchool.com. Eating a restrictive diet can be a real bummer. 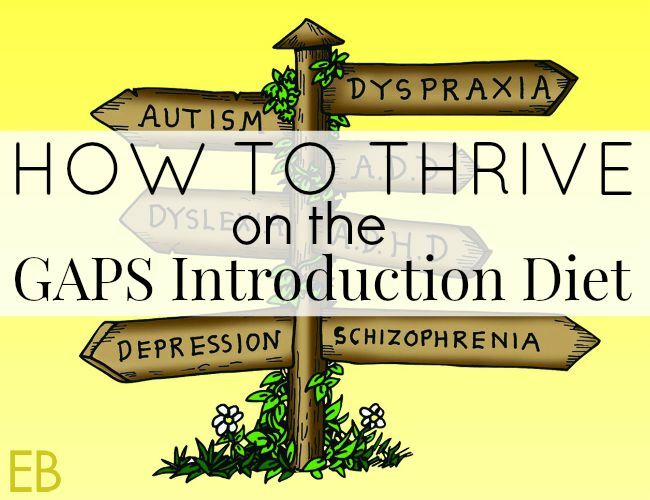 Learn how to not only survive but THRIVE on the very restricting GAPS Intro. Via eatbeautiful.com. The GAPS Diet doesn't have to be shrouded in mystery. The bottom line is that GAPS is all about reversing damage in the gut and providing true nourishment for a nutrient-starved body. Via TraditionalCookingSchool.com. It's all here — everything you ever thought you wanted to know about GAPS! Via purposefulnutrition.com. Be inspired by Megan's story of healing as she has taken herself and her family on a journey toward gut healing through diet! Via TraditionalCookingSchool.com. 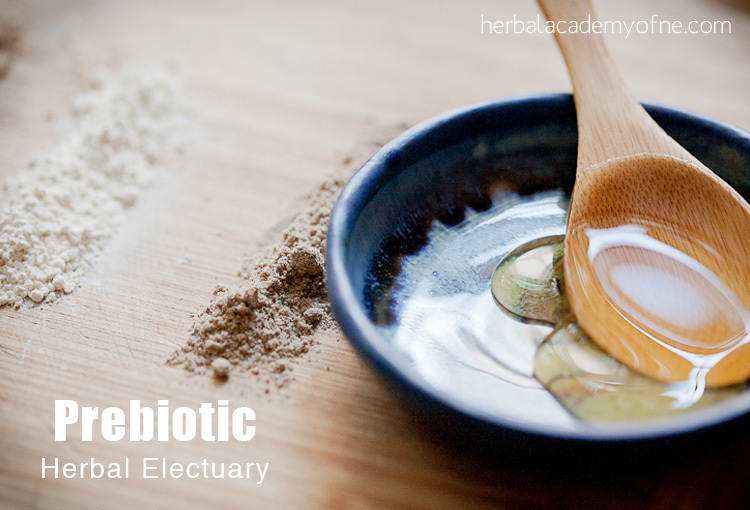 It is vital, not only for your belly, but for your entire body to restore health to your gut after taking antibiotics. Via theorganickitchen.org. 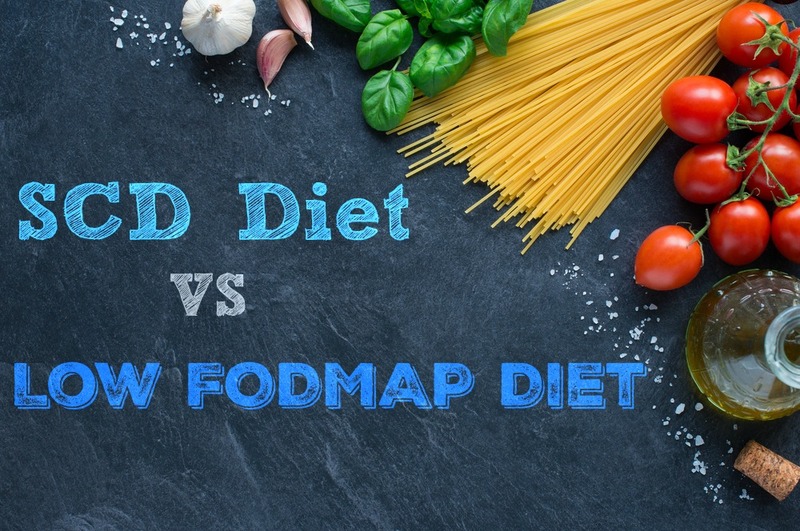 A comparison between the SCD Diet and Low FODMAP Diet to help you determine if one of these healing diets is right for you. Via alittlebityummy.com. 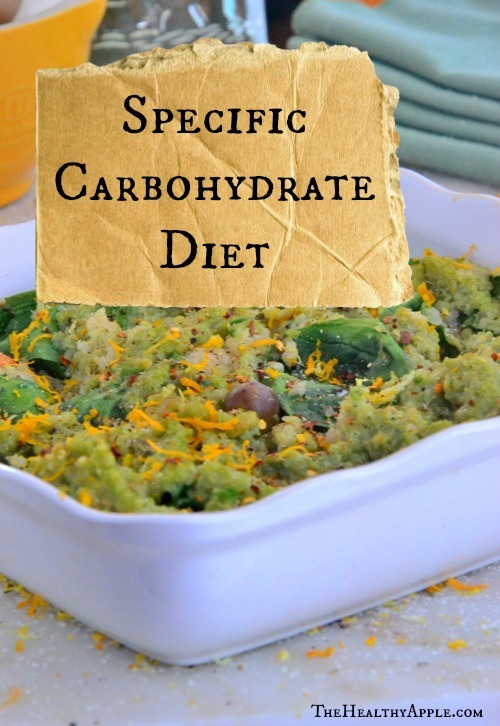 What is the SCD (Specific Carbohydrate) Diet? 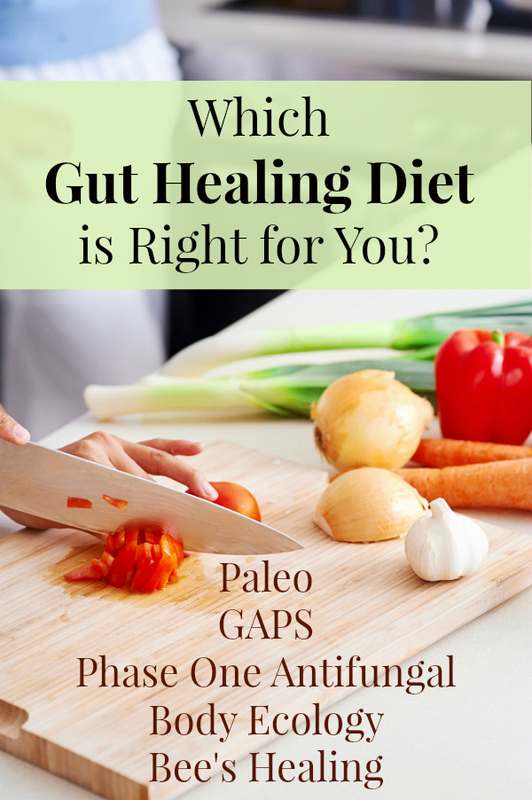 Is it something for you to consider to heal your gut? Learn more here! Via thehealthyapple.com. What steps are you going to take to heal your gut? WOW! Best, most comprehensive article I’ve seen EVER. Thanks so much. Am sending the link to my sister-in-law who has RA. Loved the article but I was just diagnosed with invasive breast cancer (via mammogram). I have been doing many of the things recommended, drink a liter of kombucha daily, eat raw and fermented foods (including raw milk), high fiber diet, and have perfect health otherwise. No symptoms on the cancer, just a routine screening, I’m almost 60 and the healthiest person I know. I’m puzzled how my immune system could have let me down on this when it’s apparently been working so well otherwise. Any thoughts? First thankyou for your post, I really do need your help. After years of gut issues, many colonoscopys that never helped, diverticulitis, ibs, and other unhelpful diogonoses I’m back to the beginning . Still in horrible pain and diarrhea. The last Dr. said your ct scan looks good, your perforations are gone,still can see diverticulitis pockets, suggestion was eat many veggies, fruits, high fiber, meats . This is what I’ve been doing,also taking Restore before meals. 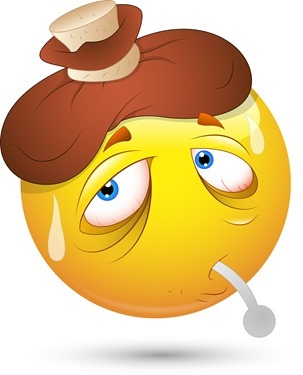 I’m in awful pain, diarrhea , can’t sleep. This has been going on for over 30 years and dozens of doctors. Help please! You’re all set up to start receiving our emails.